When I Googled where the nearest Arby’s was in relation to my house, I groaned when the ETA said 20+ minutes. Little did I know the treasure I would find. Food was delicious, went with the Arby Melt as Eat This, Not That recommends. Couldn’t avoid the delicious potato cakes, however. 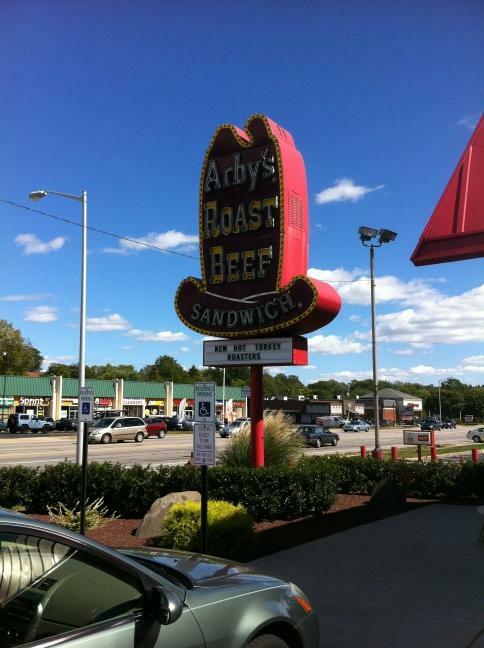 It’s beautiful – the original Arby’s neon cowboy hat. Located in Trevose, PA on Street Road.